Date of publication: 18 September 2013 . IKEA - a platform for boundless imagination, where you can create endless. Designers and developers companies create furniture and accessories that are suitable to them effortlessly able to "redraw" for themselves, their needs and their housing. Just a couple of manipulation and as a result you have exclusive item. By such an option, of course, is the heroine of today's rework. Meet Frame Ribby of IKEA Catalogue. Frames Ribby in the catalog are given in white и black color. In our remake, we will use the second option because it is more in harmony with the rest of the interior. It is good because it has a depth of almost 5 cm, which allows you to place the contents of the frame at the front or back surface. Plus attached to the frame mat - Decoration in the form of a square size 29h29 see that Ribby gives even greater expressiveness. 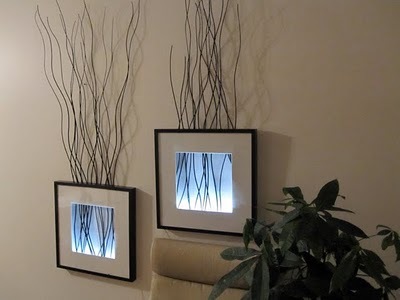 Place for a framework must be chosen with the expectation that we will use LED backlight. It should be as close to the power supply. 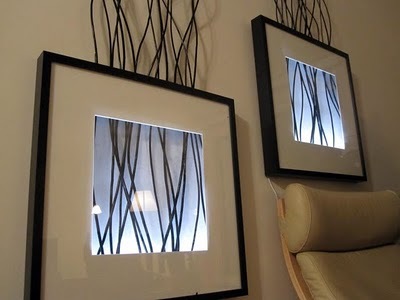 In order to get started on creating a stylish accessory that will decorate one of the walls of your home, you need to remove from the frame at the time of the glass. Further work will take place with a skeleton frame, using power tools and guarantees us its integrity. On one side of the frame by means of an electric done a 10-13 holes. They should be placed approximately equidistant from each other at the length of the mat. 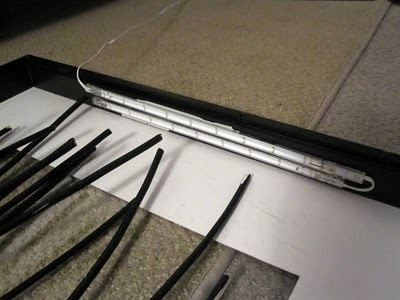 On the opposite side of the frame to attach the double sided tape segment LED Tape. COLOR how it will cover the frame, depending on your preferences and existing design space. Fortunately, here is where to turn, and the choice of color LED lights abound great. Now, with wires attached lighting is necessary to bring to the network. Putting our frame and fasten it to the wall. 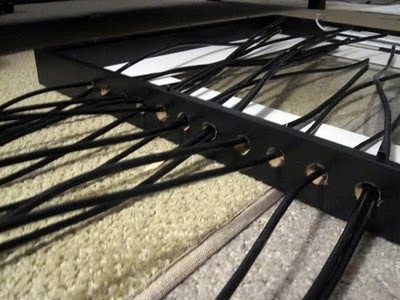 For the mat in our earlier holes, insert the wire segments. They can be of different lengths and bizarre squirm, that only adds charm to the frame. All these manipulations exactly done a and the second frame. This creative tandem will not only decoration of the room, but also a source of additional light.